There are few people who could competently write The Biological Mind, but Alan Jasanoff is one of those individuals. Drawing on his years of neuroscience research and teaching, he is able to elucidate the intricacies of the human brain in easy to understand descriptions. He is particularly adept at using everyday analogies to further the reader’s understanding. Some readers may choose to read the detailed descriptions of brain anatomy and physiology line by line. However it is possible to skim these sections and still comprehend the gist of the text. Regardless, the reader will inevitably come away convinced that the human brain is complex. Perhaps it is the most complex entity on earth. Despite its intricacies, the brain is biologically based, rooted in physiology, and subject to the laws of nature. 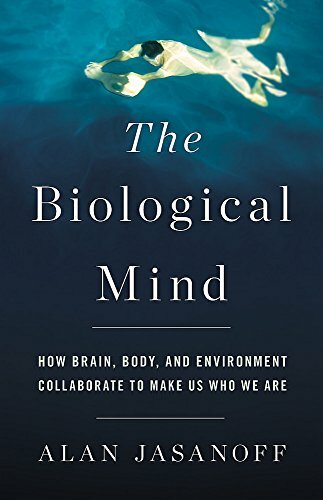 Thus Jasanoff convincingly contradicts the concepts of cerebral mystique and the exceptionalized brain, both of which suggest that the brain is self-contained, self-motivated or a “disembodied soul” beyond the laws of nature. A second crucial concept from the text is that the brain responds to many factors external to the body (e.g. sound, color, temperature, and pain) and internal signals from other body organs. With varying environments, the brain reacts and responds differently. Violent behavior or even ethical decisions can change depending on the external environment. Free Will may not be truly free, but depends on many other factors. Jasanoff also modifies the ubiquitous analogy of the human brain to a mega computer. While there are elements of this analogy which are helpful, the brain is unlike most machines which produce consistent responses determined by the machine’s programming. The brain however receives internal and external signals that essentially makes it a different entity producing different outputs. The same brain in a different body results in a different person. An important corollary to this view of the brain is that mental illness is not only a consequence of genetics and brain structure, but involves internal and external inputs as well as the individual’s life experience. Fetal alcohol syndrome, childhood abuse and neglect, adult drug usage, lack of family support are a few examples of situations when the emergence of mental illness is significantly altered by experiential issues. The simplistic concept of mental illness arising from a “broken brain” overlooks the effects of environment, experience and bodily states in its causation. Attention deficit hyperactivity disorder, eating disorders, nicotine dependence and depression are just some of the examples of genes and environment interacting to result in a mental disorder. Thus psychotherapy, cognitive behavioral therapy, family therapy and environmental manipulation become treatment modalities as crucial as psychotropic medications. The last chapter, What It’s Like to Be in a Vat, is identified by the author as different from the previous nine. It attempts to speculate about the experience of a brain not connected to a body. It is not only different but in fact odd. While it is likely that the author included this chapter to bolster the earlier ideas in the book, the descriptions are fantastical and emerge as pure science fiction speculation. Overall, the book features a learned and experienced author who has the ability to take complex concepts of neuroanatomy and neurophysiology and explain them in easy to understand descriptions. The intelligent reader interested in 21st century understanding of the human brain and particularly those who may be involved in mental or physical health will find this book useful and interesting. Christopher M. Doran, M.D., is a psychiatrist, Associate Clinical Professor at University of Colorado Denver School of Medicine, international speaker, and author. His most recent book is Prescribing Mental Health Medication: The Practitioner's Guide.